Sale Item of the Week! It's time to question the status quo that tells us it's ok to eat animals and consider what it means to be a truly compassionate being on this earth! There are so many reasons to stop eating animals-- to combat global warming, to become a healthier person, to follow a path of nonviolence-- but there will always be people telling you why they can't stop eating animals, even why they don't want to. Deep down, their hearts are saying something different. This week, get the Listen to Your Heart Women's Black Slouchy Tee for only$25! This design is printed on Bella Canvas Flowy Tees. Super soft with a flattering drape and wide neck that can be worn off the shoulder. 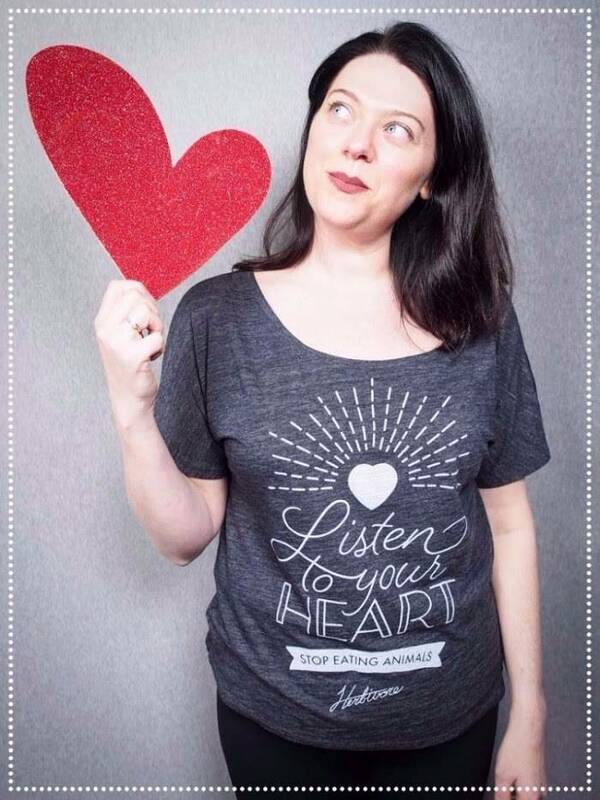 With our Listen to Your Heart tee, you can broadcast the importance of loving animals and listening to your heart, and feel beautiful, comfortable, and confident while doing so!